This high visibility short sleeve work polo shirt, is the perfect addition to any worker's wardrobe. Comprised of a specially designed cooldry fabric which optimizes ventilation, reduces moisture build up, and expedites the drying process, this shirt will ensure you stay cool and dry at work. 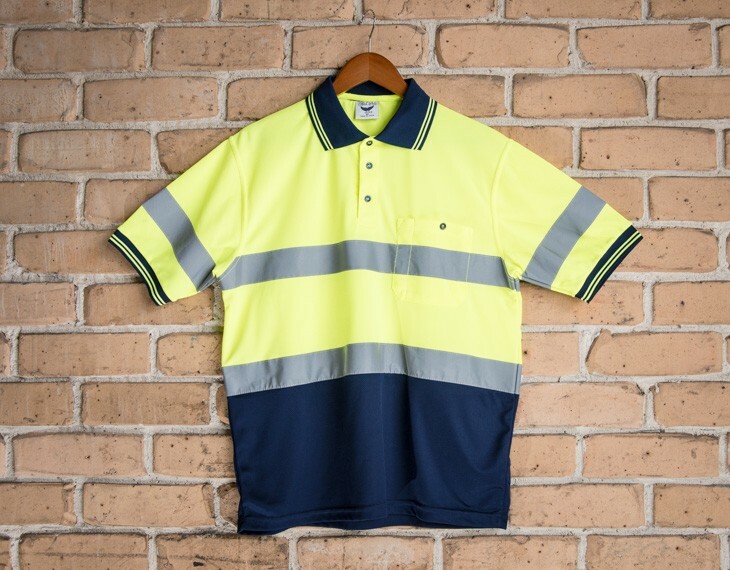 It also adheres to the new Hi Vis Safety Garment Standards AS/NZS 4602.1:2011 and AS/NZS 1906.4:2010, so you can be assured that this is a quality purchase that meets Australian safety standards.